One of the greatest myths in dieting is that low-carb nutrition can lead to reduced muscle mass. Although many of us have suspected so, now there is a scientific proof that low-carb diets don’t have negative effect on the anabolic response of your muscles to weight training. For a long time carbs have been considered a primary source of fuel for our muscles. This misconception about the necessity of carbs in our diet has been taken for granted and emphasised by many nutrition experts, often at the expense of people’s health. Let’s just take for example the Food Guide Pyramid proposed by the federal government. It recommends six to eleven carbohydrate meals daily, levelling the field for type-2 diabetes. Following this same logic, the school lunches offered to our children are packed with carbohydrate rich foods, which is one of the main causes for obesity among children. The truth is that your body is capable of creating all the glucose it needs from the fats and protein in your diet. You don’t need to ingest cabs to provide you with fuel. And yet, this fact has been somehow ignored by many of the so-called dieticians. Still we rely on sugary energy boosters, that are supposedly keeping us up to task. This misconception about the necessity of carbs may have been caused by the fact that our bodies do need glucose (which is the simplest form of sugar) to create energy. However, we don’t really need to consume it in our diets. Glucose is the basis for starting the glycolysis process, which results with the creation of the adenosine truphospate, or the ATP molecule. The ATP molecule is what provides the energy to our body. Our cells cannot function without steady supply of ATP. This applies particularly to muscular contraction. The consumption of ATP is increased during an intensive workout and when our muscles are pumped. Having in mind that the production of energy begins with glucose, it becomes clear why so many people mistakenly believe that carbohydrates should be the main dietary source of energy. It turns out that fats can trigger the energy production process in much more efficient way. However, this is only true for people who are not used to consuming carbs. But when we choose to ignore this alternative mechanism and bypass it with steady intake of sugar, it tends to atrophy. The truth is that our body can get used to the direct sugar infusions, thus forgetting about the other alternative. If you still need more arguments about this, jut take a look around you. One of the most compelling evidence about the devastating effects of dietary carbs is the modern epidemic of obesity and type-2 diabetes. While the simple truth is that they can be easily avoided, without putting in danger our energy creating processes. Although dietary carbs have been considered as the main source of energy for the human body, this is largely untrue. End even through many people seem to be aware of this, sugars still remain the mainstay of our diet. We consume them in form of energy drinks, convinced that without them will lack the fuel to build our muscles. However, the importance of dietary carbs has been elevated to a pedestal by the society, not by some scientific and medical proofs. In reality, they are not as essential as we may thing. The truth is that our bodies are capable of deriving all the glucose we need from dietary fats and protein. While carbs are not essential, protein is. Without a steady intake of some aminos found in protein, your body will not be able to build up muscle mass. And although some fats are definitely bad, the unsaturated fats are not only good for your body, but absolutely essential and should be included in your diet. Only the carbohydrates are redundant. 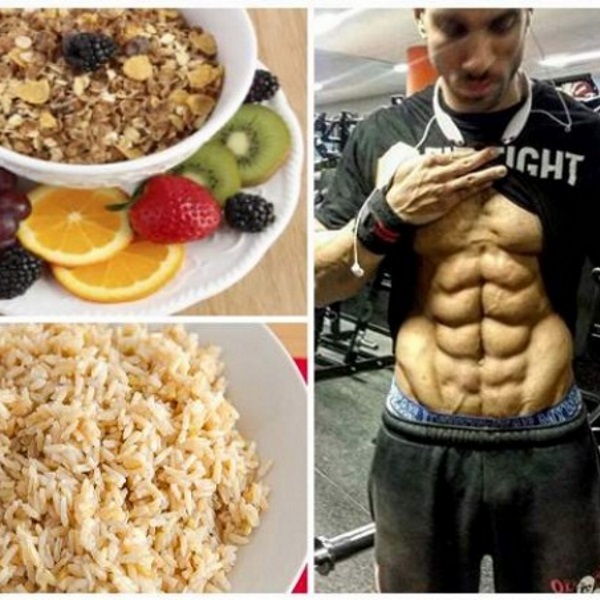 This dietary fact, that many of us have suspected all along, has finally been proven by the scientific research, that showed that low-carbs diet don’t have negative effect on muscle build up. One of the studies comes from the School of Medical Sciences, RMIT University, in Melbourne, Australia. The researchers have focused their study on determining the effect that muscle glycogen has on muscle growth after workout. They divided the subjects in two groups, one that consumed normal quantity of sugars, while the other was taking low-carbs diet. However, both groups showed identical performances with high-intensity training. This is also true for endurance athletes. Even more, it proved that they could improve their performance by reducing the dietary carbs and relying more on amino acids and healthy fats. The study used biopsy of muscles to show that the molecular muscular signalling is the same both in people eat high-carbs diet, and people eating foods low on carbs during high-intensity endurance training. So much for the essential carbs. Of course, this does not imply that you should eliminate carbs from your diet completely. It just means that you need to find healthier alternative. For example, instead of relying on carbohydrate foods, you can stick to foods rich in fibres, like vegetables and fruit. Fibre is one of the most important ingredients for healthy body. Fiber can be divided into two basic types. Soluble and insoluble fiber. Soluble fiber can be found in oatmeal, for example, and it has ability to dissolve in water, becoming viscous. This fiber is very efficient in lowering the levels of blood cholesterol, and regulating the consumption of sugars. Because of this, it’s absolutely essential to include soluble fiber in your diet, despite the fact that you’ll also be consuming some sugar with it. Insoluble fiber is even more important when you want to build lean muscle mass and maintain your low body fat. In addition to containing high concentration of minerals, trace minerals and vitamins, insoluble fiber is also very efficient in fighting cancer and beneficial for our digestive tract. And having in mind that diets low on carbs and high on protein can cause constipation, adding insoluble fibre to your diet will improve your bowel movement. In addition, both soluble and insoluble fiber are low on calories. As a result, you can eat it in large quantities, and it won’t affect your line. Lettuce, greens, spinach, cucumber, green beans, Brussels sprouts, cabbage, kale, onions, asparagus are just some of the vegetables that are high in fiber and should be found on your table. The last myth regarding the importance of high carbs diet for muscle building is connected with insulin. The proponents of this theory point out that insulin is an anabolic hormone. Although this is true, it’s also true that elevated insulin levels can be extremely dangerous. First and foremost, they can cause insulin resistance. Moreover, increased insulin levels trigger the lipogenesis in response to high blood sugar levels. Lipogenesis is the process of transforming nutrients into body fat. Once again, the facts go against the proponents of this theory. The truth is that our bodies can harvest all the benefits of insulin without including carbs in our diet. The insulin production can be well kept at bay with certain aminos like the BCAAs (isoleucine, leucine, valine), or arginine and alanine. Not only that, but these amino acids trigger far better insulin response than sugars. The insulin rise triggered by these amino acids is much subtler and causes less stress to our physiology then the insulin spike seen when excess carbohydrates are introduced in our system. Namely, the sudden rise in insulin is a physiological reflex that our bodies use as a protection and means of purification against unnatural sugar levels that they interpret as poison. When we do it too often, your system can crash leaving you stranded with insulin resistance in which this hormone has little effect both on decreasing and on stimulating muscle growth. With high quality protein diet you eliminate the risk of missing on the anabolic benefits of insulin. Even more, you’ll balance your insulin production. While your body will still be able to provide you with sufficient insulin production, you won’t notice any spikes triggered by high blood sugar.